Gelatin, Cellulose (Purified), Magnesium Stearate. As a dietary supplement, take 4 capsules three times daily. 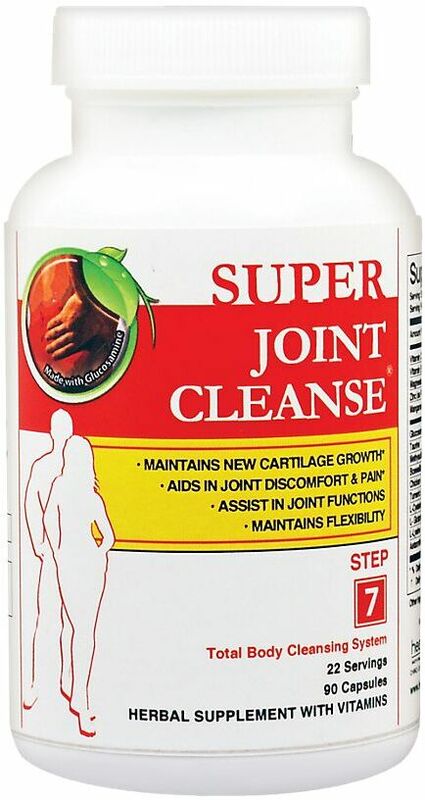 May be used regularly or one bottle every 5 months as part of the Total Body Cleansing System. For California Residents Only. Warning: This product contains a chemical known to the State of California to cause birth defects or other reproductive harm. Not recommended for use by pregnant or nursing women. Health Plus Super Joint Cleanse will be shipped separately from the supplier and may take up to 5 business days for delivery. Trust us - its worth the wait!